It’s a difficult thing to balance retro and modern aesthetics at the same time, but S.T. Dupont seems to have pulled it off with its latest Ligne 2 lighter, which reaches into the past for its design inspiration. At the International Premium Cigar & Pipe Retailers trade show this summer, the luxury accessory maker debuted a new soft-flame lighter called Fire Head Under Lacquer, inspired by the company’s Diamond Head lighters from the 1950’s. At first glance, the rectangular shape of the lighter is instantly recognizable as a Ligne 2. This style of lighter, measuring 2 1/2 inches tall by 1 1/2 inches wide, is celebrated among cigar smokers for its soft flame, flint-wheel ignition and distinctive “ping” sound when opening the cap of the lighter. It’s also satisfyingly heavy—made from solid brass and coated with a palladium finish. But the new model adds an interesting design element that‘s never been seen before on a Ligne 2: A triangular guilloche pattern that’s topped with layers of deep-blue lacquer. According to S.T. Dupont, the precise, machine-made geometric pattern is a tribute to the company’s Diamond Head lighters from long ago, which were notable for their diamond-shaped engravings. The modern twist—applying lacquer to the guilloche—is a process the company says takes months to complete, involving many applications of lacquer and repeated polishing. The end result is a lighter that is both visually impressive and smooth to the touch. But how does Fire Head Under Lacquer perform as a cigar accessory? 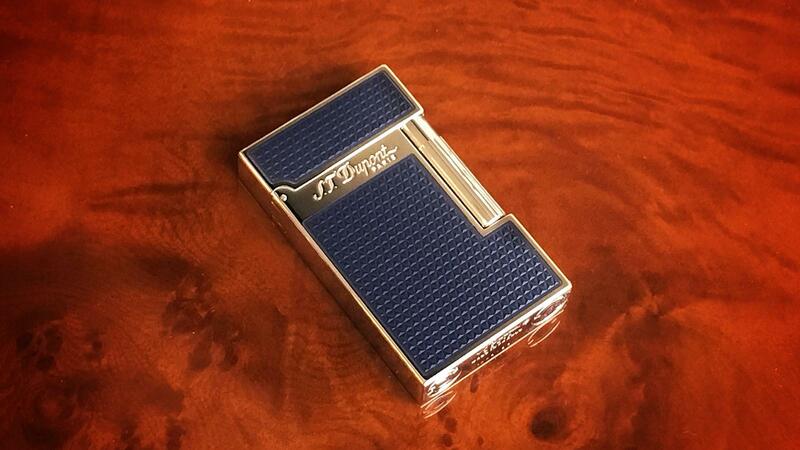 Cigar Aficionado fueled up the luxury lighter and took it out for a test drive—first in our cigar lounge, then around New York City. The Fire Head Under Lacquer features a triangular guilloche pattern that’s topped with layers of deep-blue lacquer. Over multiple experiments, we found that the lighter works best in a controlled, indoor environment like a cigar lounge. Its dual soft flames had no trouble lighting up a range of different sized cigars, from elegant lanceros to big ring-gauge grandes. The lighter’s two soft flames are positioned close enough to each other that they tend to meld into one larger flame, which makes lighting wider, thicker cigars easier than you might expect. Smoking outside with the Fire Head Under Lacquer was a bit more of a gamble. On a casual stroll through the city, the lighter performed well, but its flames tend to flicker in windy conditions. On calm afternoons and peaceful evenings, however, the lighter is a strong performer, toasting and lighting cigars without issue. Overall, Fire Head Under Lacquer excels in its luxury presentation, and is a useful accessory for lighting up your finest smokes. It’s in stores now, with a retail price of $1,169. 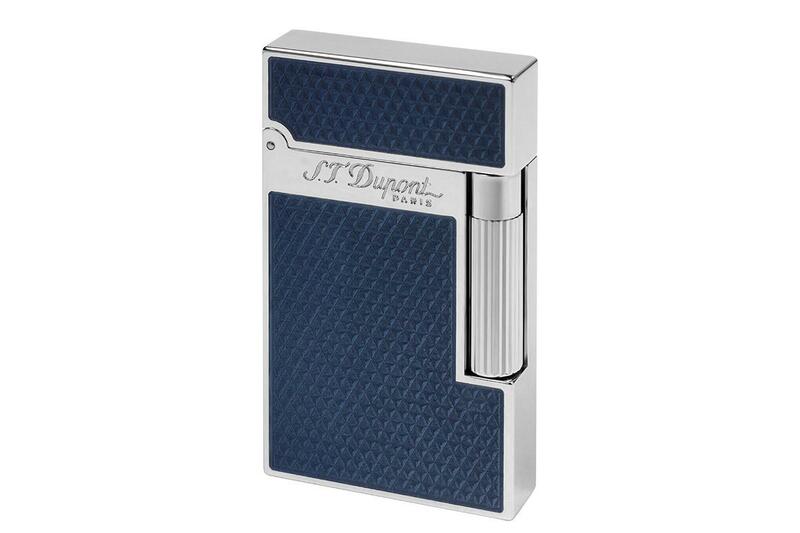 The lighter is manufactured in France, and distributed by Davidoff of Geneva in the United States. To learn more about Fire Head Under Lacquer and find a S.T. Dupont retailer near you, visit st-dupont.com.